The GCBA are delighted to be working this year with the Galway City Council & local business owners to bring you the All-Ireland Hurling Minor & Senior Finals LIVE on the Big Screen in Eyre Square on 19th August. 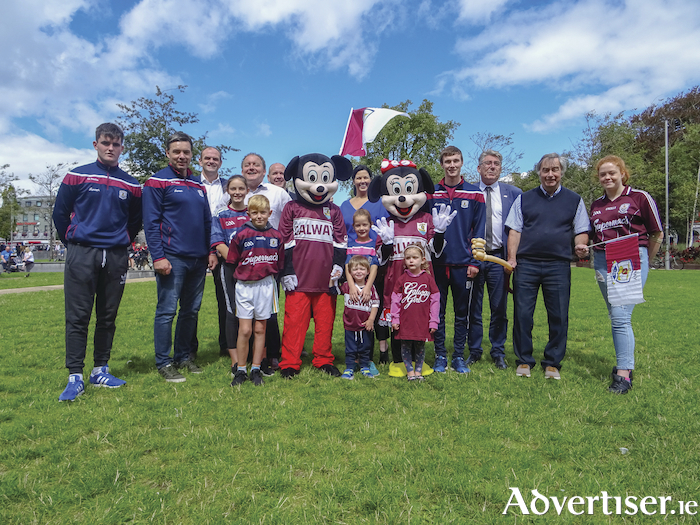 The local business community has rallied together to give Galway supporters the chance to soak up the All-Ireland Final atmosphere in Croke Park ... without having to leave the city! The festivities start at 12pm in Eyre Square and will continue until the final whistle blows. The GCBA have an exciting line up for this FREE family event in Eyre Square, including Face Painters to paint your Tribe maroon & white, Fun Characters, DJ & daring drummers to serenade our teams into battle! cheer our lads on to bring home BOTH Cups again this year! Stay up to date with the plans & competitions on our Facebook Page Visit Galway City. Ádh Mór le Foireann na Gaillimhe! Page generated in 0.2065 seconds.